1. 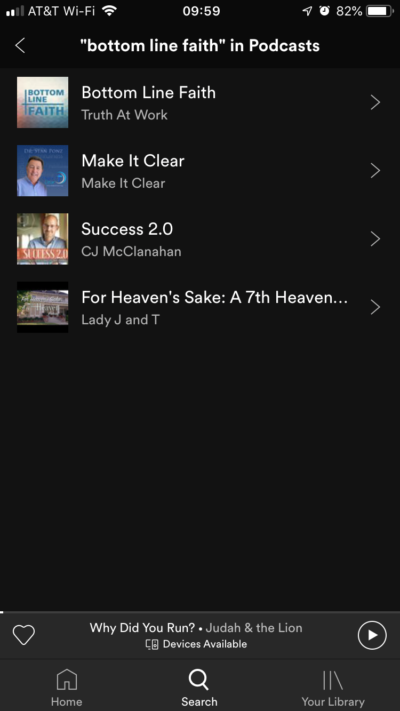 Open the Apple Podcasts app on your iPhone. 2. Tap on the search icon in the bottom right-hand corner and type in Bottom Line Faith. Once it shows up, click on the logo. 3. Now that you are on the show’s page, click on the subscribe button on the top right-hand side. Congratulations, you are now subscribed to Bottom Line Faith. 1. Open the Stitcher app on your smartphone. 2. Tap on the search icon in the top right-hand corner and type in Bottom Line Faith. Once it shows up, click on the logo. 3. Now that you are on the show’s page, click on the plus icon in the top right-hand corner. Congratulations, you are now subscribed to Bottom Line Faith. 1. Open the Google Play Music app on your Android device. 2. Tap on the searchbar and type in Bottom Line Faith. Once it shows up, click on the logo. 3. Now that you are on the show’s page, click on the subscribe button in the bottom left-hand corner. 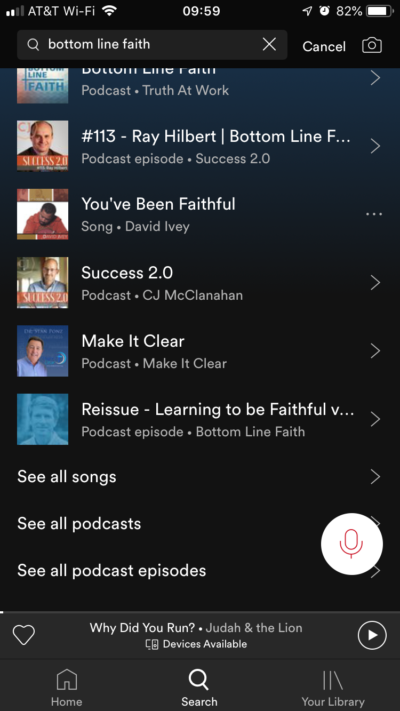 Congratulations, you are now subscribed to Bottom Line Faith. 1. Open the Spotify app on your smartphone. 3. Click on the logo when it comes up. 4. Now that you are on the show’s page, click on the Follow button in the top middle. 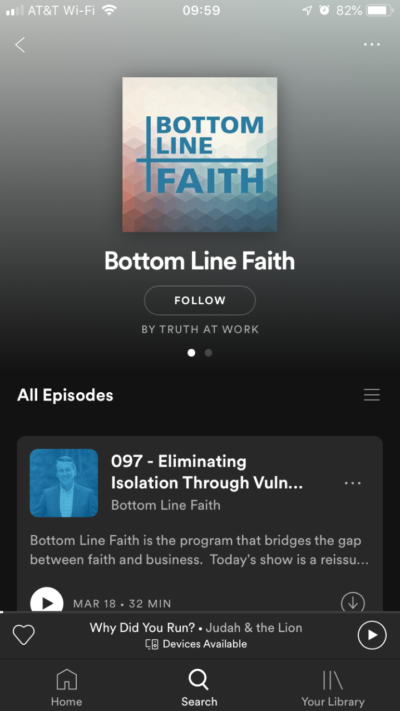 Congratulations, you are now subscribed to Bottom Line Faith!